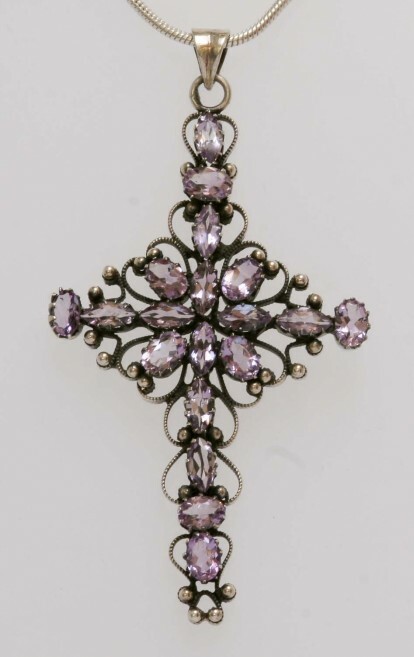 Oxidised sterling silver antique-style cross pendant set with 19 faceted amethysts. Clean jewellery regularly with a silver polishing cloth to prevent the build up of damaging tarnish. Take care not to damage the claw settings of the stones which can catch on the cloth.